We work with local hotels that are suburb wedding venues, or we’ll come to your wedding location. We collaborate with you to create the perfect playlist for your special day. Need a dance band? 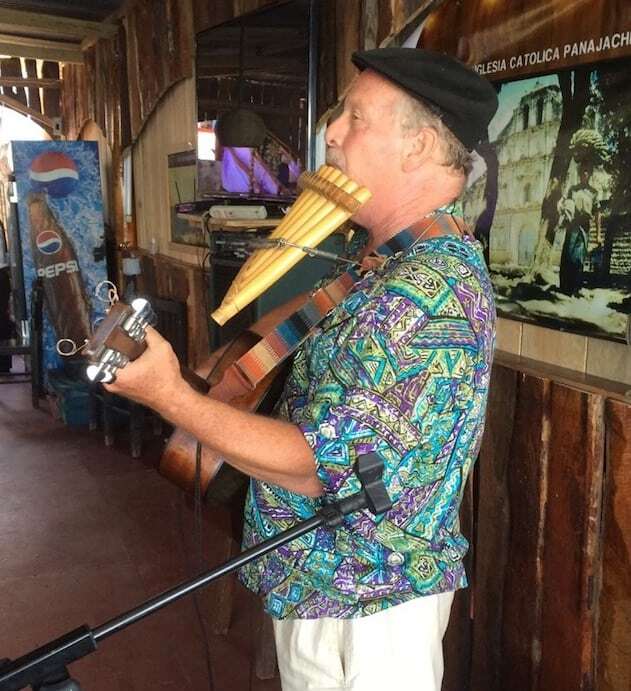 We know many Lake Atitlán musicians and can easily put together a band. Live music - the icing on the cake! Mark has played at dozens of weddings. The beautiful sounds of the pan flute and guitar have accompanied many brides down the aisle. Have a special song in mind for your ceremony or first dance? If we don't know it, we'll learn it for you. We perform music in a variety of styles. Entertain your guests with the skill and personality of live music--it's more affordable than you may think!! 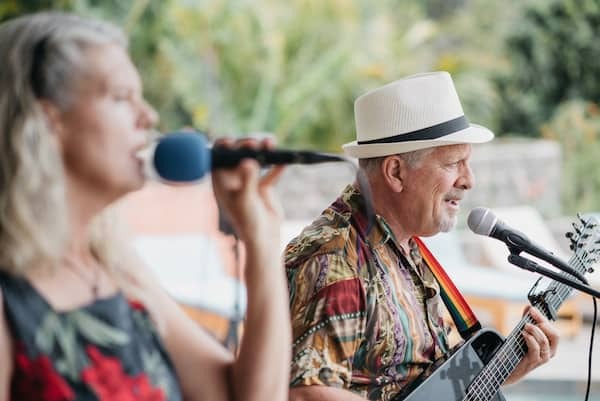 We are Mark (known around the lake as Marco Solo) and Traci, a Lake Atitlán based duo that regularly performs in Panajachel. You can find out more about us here.